Coming out of a cruel winter into pre–spring, fruit trees are budding, birds are feathering their nests while the lawn needs to be mowed. As spring looms an old man’s thoughts turn to cycling with the promise of a new bike. In a world of conspicuous consumption what is the acceptable number of bikes one could reasonably own? The correct answer of course is always whatever you have plus one, besides the bike exists outside its function as an accessible means of transport. Rather the bicycle is a cultural symbol of freedom and you can’t have too much freedom can you ? 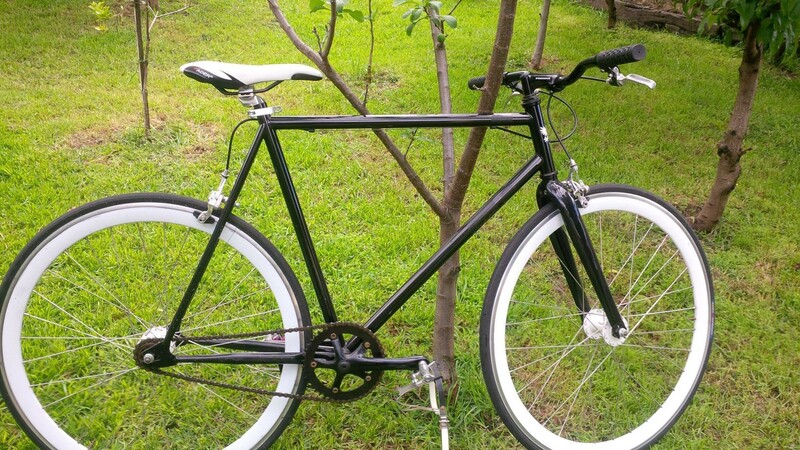 The roadie, the touring bike, The MTB, The hybrid, and now the fixie. They all get ridden so it’s not like you can’t make a case for them all. The real issue is where to store them. Currently, due to irreconcilable differences, I keep them in separate rooms of the house, however I can’t imagine this is a long term solution. I think my daughter would balk at a strange bike in her room no matter how handsome. So I’m Riding the Bellarine Rail Trail on Saturday then the aptly named ‘Fruit loop’ ride out of Shepparton. Did my 14th Around the Bay in October and the Great Victorian bike ride from Adelaide to Melbourne in November, the Alpine Classic is penciled in on Australia Day January 26th then hopefully sometime next year I can escape a while from everyday life to cycle off around Australia on just one bike! But which one ?